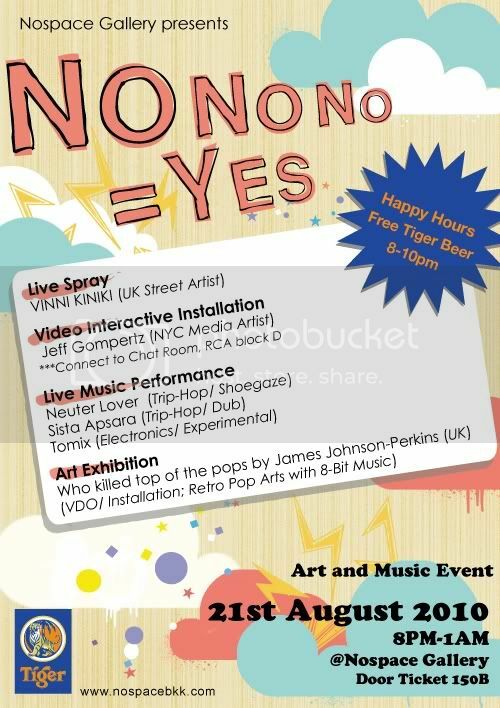 No no no is yes: the collaboration of street art, vdo interactive, retro pop, 8-bit, experimental music performance and beer!!! Join the auction for Vinni Kiniki’s artwork by SMS to 0841341184, the auction will close at 1AM, no reserved!! !